Adam Iverson is the co-founder of Swannies Golf Apparel, a lifestyle company aiming to make golf more enjoyable and accessible to everyone. We discuss what's new in the spring 2018 collection, the Swannies Party Scramble Series, and how the company hopes to grow the game through its brand. 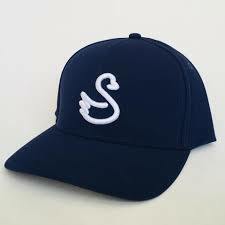 Follow Swannies Golf Apparel on Twitter at @swanniesapparel.